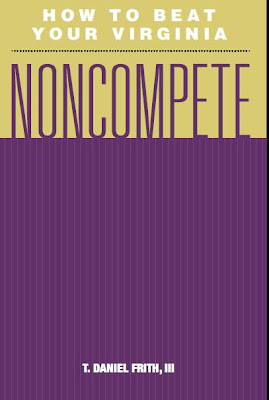 NON-COMPETE LAW IN VIRGINIA - Frith Ellerman & Davis Law Firm, P.C. Want to know what your rights are? Whether you need an attorney? Want to know whether you can beat your non-compete. Dan wrote the book to help Virginia employees like you – want a free copy? Call Gail at Frith Law Firm today at 1-866-985-0098 for a free copy.